Greenpeace is vowing to gatecrash Apple's launch of the Apple iPhone this Friday. The environmental organisation wants to protest against the use of alleged toxic chemicals in the device. It said the Apple iPhone contains both PVCs and brominated flame retardants (BFRs), both potentially dangerous compounds. "The Apple iPhone is a unique product and for us it is a missed opportunity for Apple to combine the innovation of the product with a green performance," Zeina Alhajj, campaign co-ordinator for Greenpeace, told EE Times. "If Apple really wants to reinvent the phone, it needs to design out all hazardous substances and materials from its handsets and peripherals," Alhajj added. Half of the Apple iPhone's 18 internal and external parts are said to contain brominated material, including the antenna. The PVC in the headphone cables contains toxic forms of phthalates, Greenpeace said. These chemicals are used to increase the flexibility of plastic. Apple has already pledged to eliminate the use of PVC and brominated flame retardants in its products by the end of 2008. 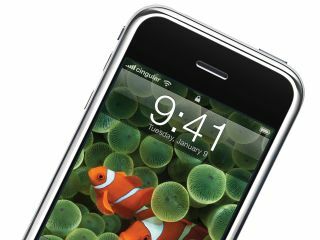 The firm has also stressed that all components used in the Apple iPhone comply with the European Restriction of Hazardous Substances (RoHS) Directive.